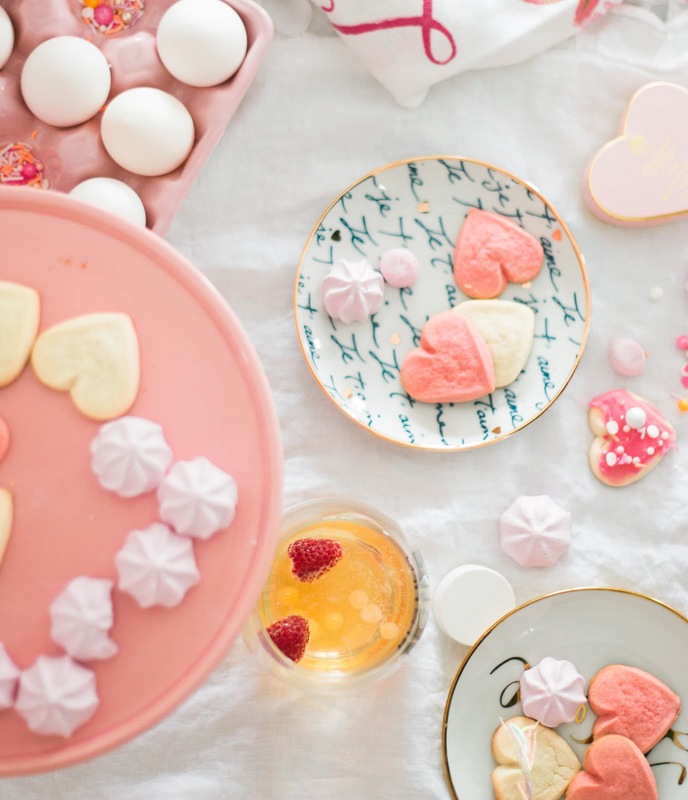 Sweet treats and Valentine's Day go hand in hand and there are so many ways to go about this. 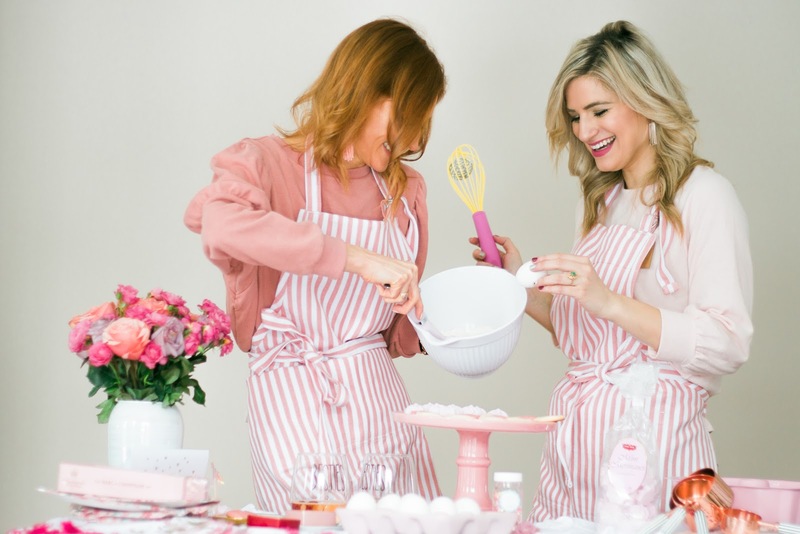 You can bake in advance to have everything ready to decorate or bake together. It just depends how much time you have. We opted for box mixes from HomeSense because they are super easy to prepare for when you want to focus on each other's company. You guys-- they even have gluten-free options that are the best quality. 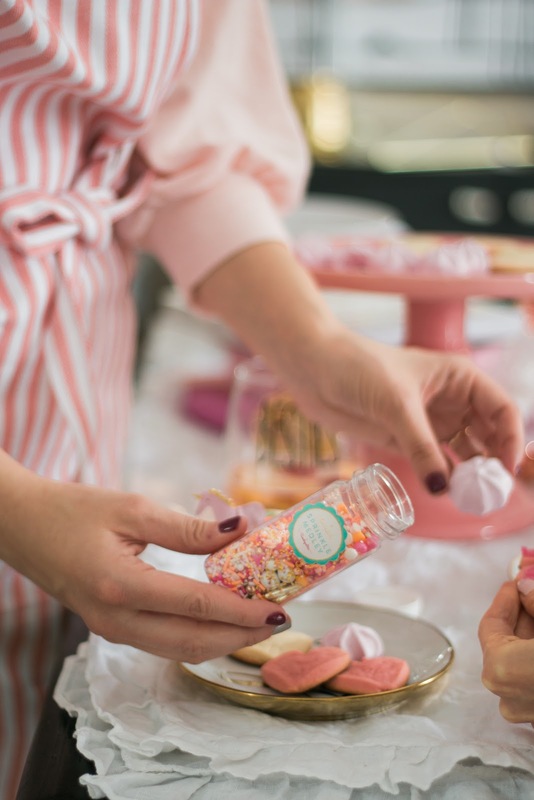 My favourite part was scoring Sweetapolita sprinkles for $4.99 when they are regular $13.00! 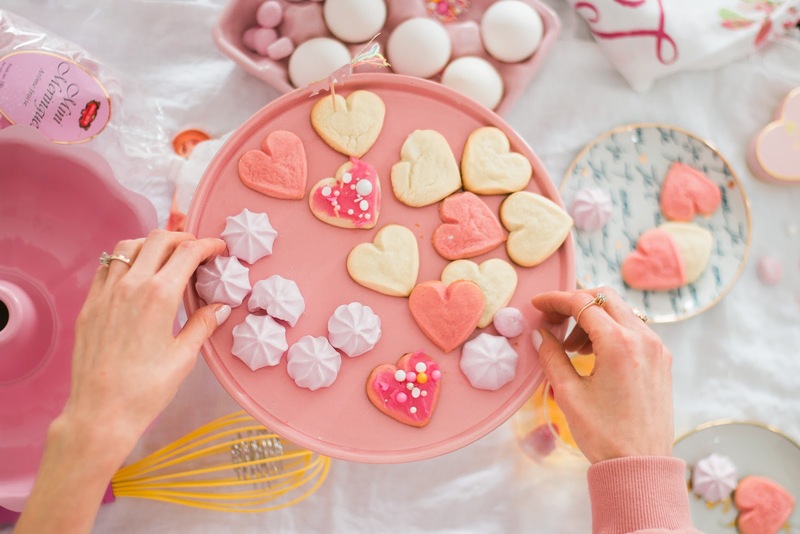 The cutest addition to our pink sugar cookies! HomeSense is also great for other gourmet finds... I mean, macarons, gourmet chocolates and meringues for under five dollars! You can't beat it. Baking from scratch? 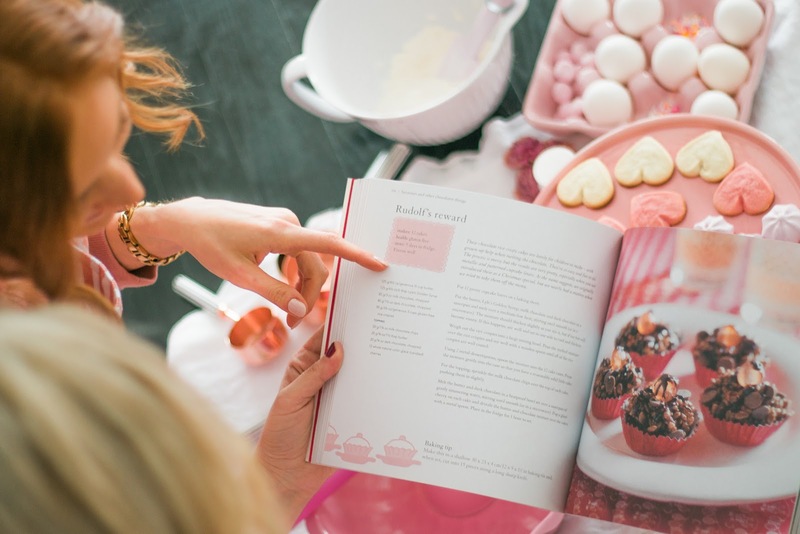 Just pick yourself up a cookbook, pink spatula, cake stand, mixing bowls and you're set! Yes, this is the time to bring out all the pink, red and fabulous and once I have a theme I really run with it! Obviously, we needed to fill the day with flowers. Roses in every colour, please! 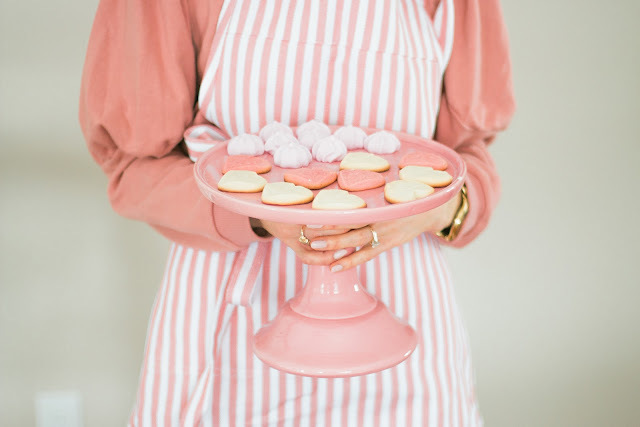 We also picked up some adorable Meri-Meri party supplies from HomeSense (for a fraction of the price), and adorable pink plates to serve our goodies on. My favourite part of Valentine's Day growing up was writing out and handing all my Valentine cards! I just loved going to school (in my pink and red best) and slipping the cards into everyone's handcrafted boxes! I still love writing out cards today. There is just something so special about it. That's why I was SO excited when HomeSense started carrying greeting cards! They are actually so fun and beautifully crafted-- think glitter, catchy sayings and pop up details! And the best part? They start at $2.99! So much cheaper than the regular card stores... Make it special by writing up a card for your pal! Such a sweet touch that they can take home. Fun fact-- Eleni and I got each other the same card! Haha.. great minds, right?! Pink, pink and more pink please! 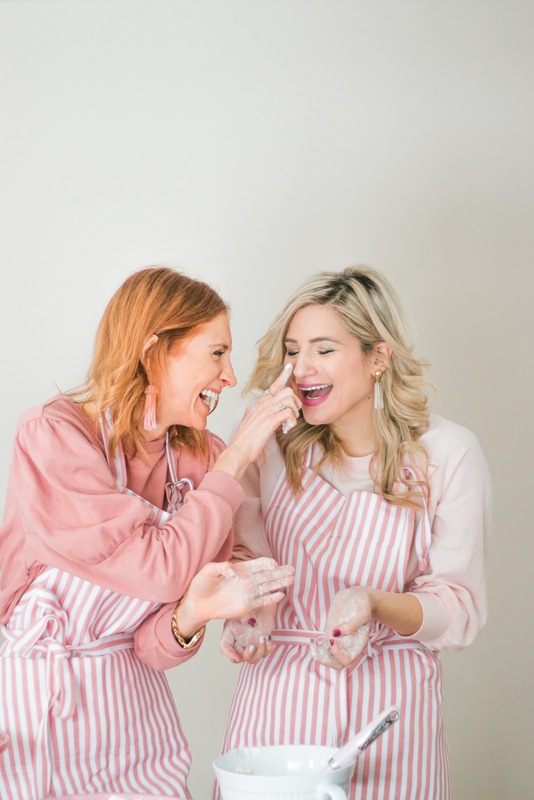 A true Galentine's Day would not be complete without an extra dose of pink. 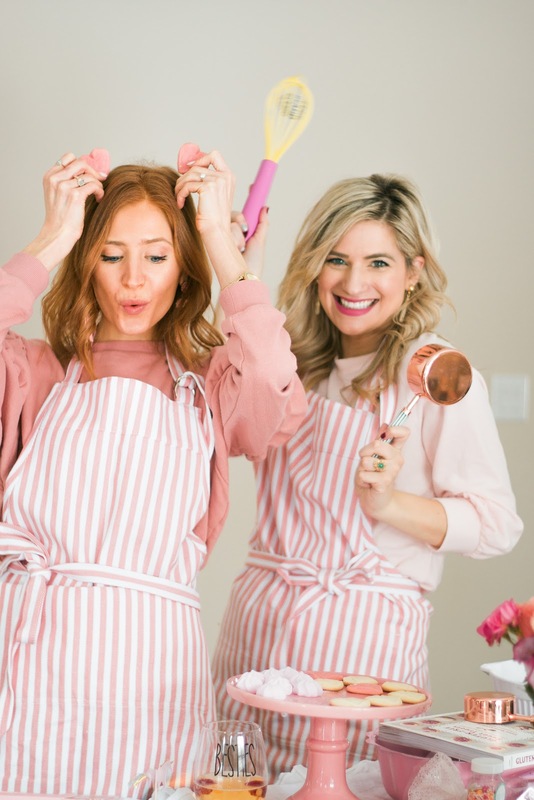 Obviously, Eleni and I were wearing matching pink sweaters (total coincidence), and then when we scored these adorable pink and white stripe aprons at HomeSense, we were basically twins! I'm serious when I say one-stop-shop! They were $12.00 each which was the icing on the cake! We weren't the only ones who dressed the part. So did the table! An adorable Nicole Miller table runner, and washcloths to soak up all our floury mess! 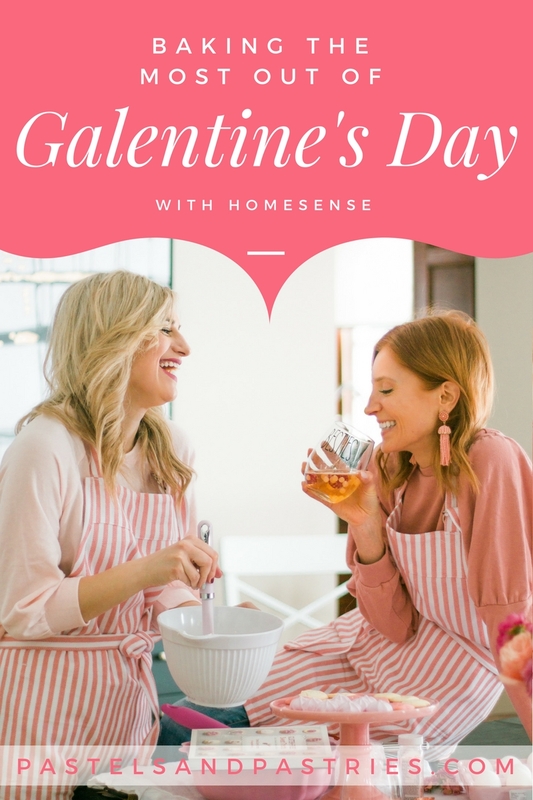 It's Galentine's Day... the more all out you go, the better! 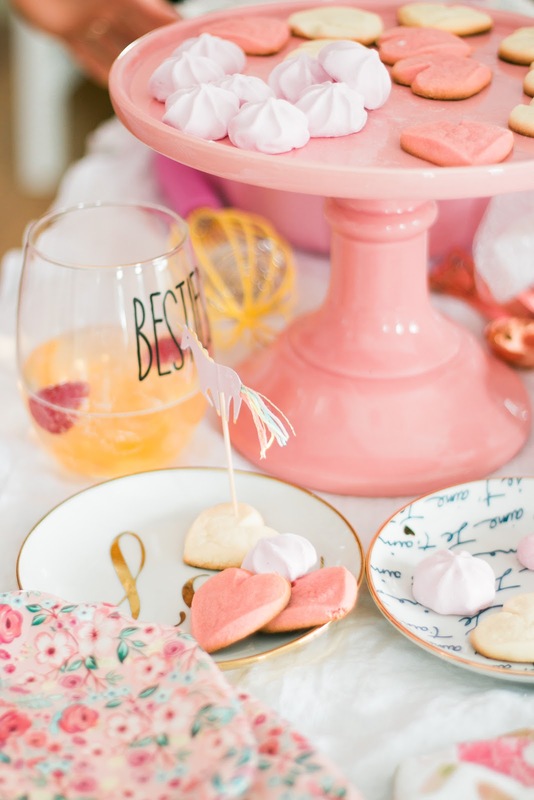 Turn up the music nice and loud, pour yourselves a glass of bubbly (in a cute glass, obvi), and have fun! Doesn't this sound so much better than watching the game on a Sunday? My thoughts exactly! Thank you guys so much for reading! I hope you get some great ideas for Valentine's Day next week. Whatever your plans may be! Just enjoy the day, and don't forget to celebrate the love you have for yourself first! Make sure you head on over to Eleni's blog, Bijuleni, to check out more ways to save and indulge this Valentine's Day! Although this post was sponsored by HomeSense, all opinions are 100% my own. I genuinely love working with HomeSense and sharing my finds with you because I am a regular there! This is SO CUTE!!! 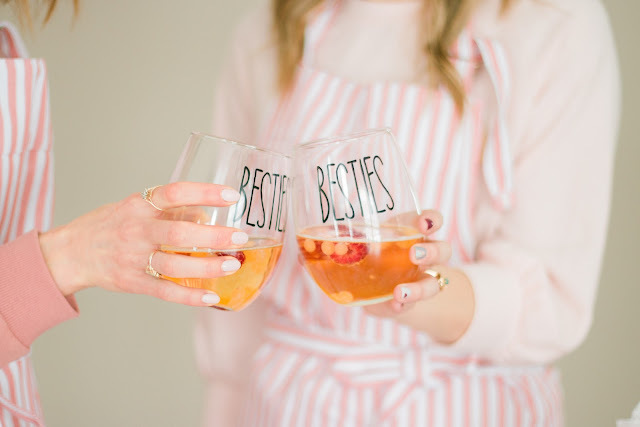 You Ladies seriously put together the most perfect Galentine's get together, every detail is beautiful! Ah thanks girl! We had the best day. 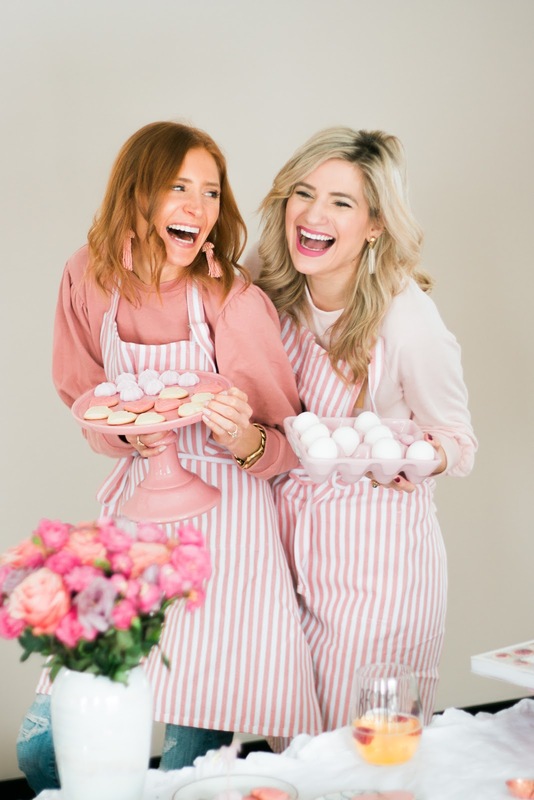 So much pretty pink fun! Okay I don't even enjoy baking, and now you guys have got me wanting to go to Homesense, buy all of the things and have my own baking party! 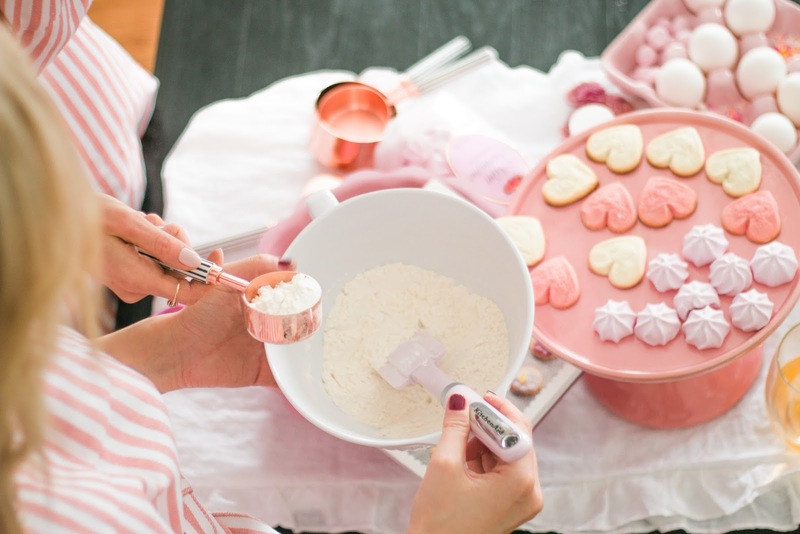 BEAUTIFUL photos, and I love the pink aprons!! YES get yourself there and stock up on all the pretty! Let's do it! 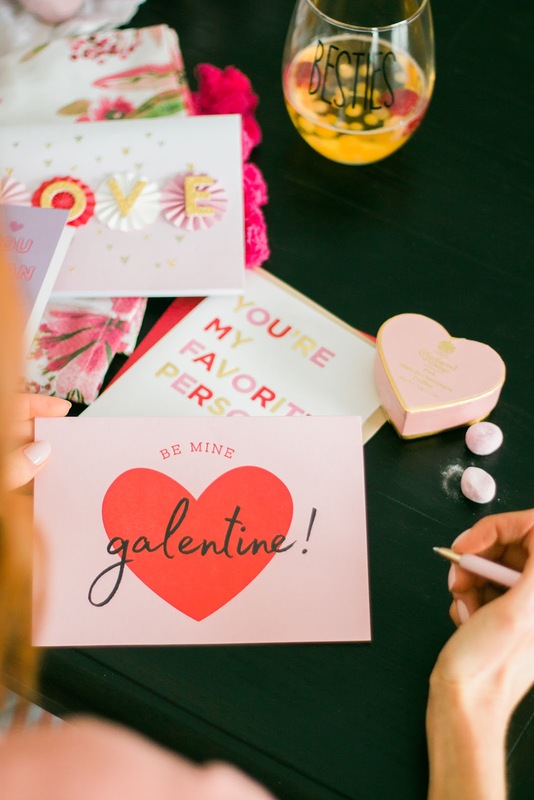 The fact that they have Galentine's Cards! I'm definitely going to pop by HomeSense this weekend to grab some stuff for my friends! This was the sweetest shoot. RIGHT?! I am obsessed with the cards. They are SO cute and whitty! This is the most adorable thing I've seen in a long time! The cookies look so yummy!